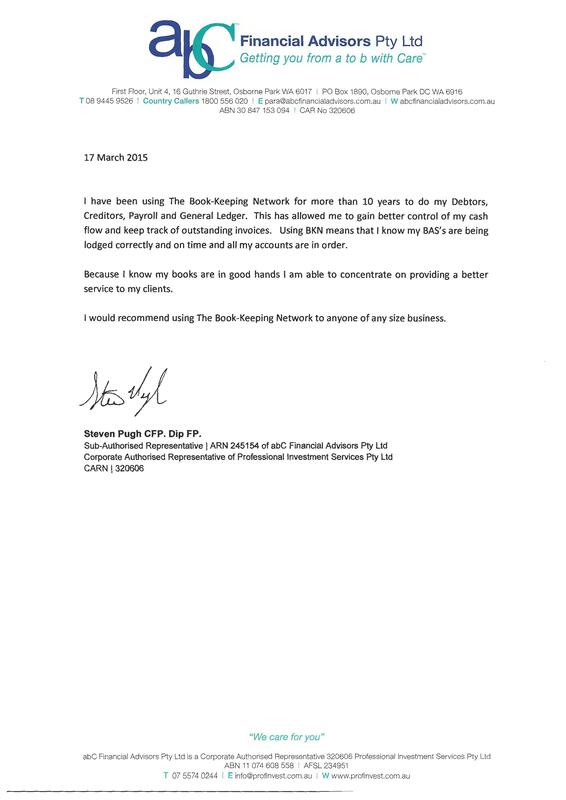 At The Book-Keeping Network, we help you do what you do best- run your business. What we do best is provide you with a full range of fast, efficient and cost-effective book-keeping and data management services to put you in the good books. The General Ledger collates information gathered from your Debtors, Creditors, Payroll and other sources to produce financial reports. These financial reports are used by accountants to prepare your Tax Return. The Divisional General Ledger can handle multiple sites or cost centres and produce individual Profit and Loss Reports for each centre, as well as consolidated reports for the entire operation. If your business employs staff, we can calculate your PAYG Tax Liability and Superannuation Guarantee Levies. We can also accurately record your employees’ leave accruals for Annual Leave, Sick Leave and Long Service Leave. Our Forensic Book-Keeping service can be used for auditing, due diligence when purchasing a business, application for finance or analysing your business’ performance. We can analyse the financial records of a business to verify their accuracy or alert you to potential errors. How to optimise book-keeping systems to maximise the benefits to your business. Why should you look no further than us? Operating since 1984, we are passionate about helping your business succeed. We believe that no business is too small to have proper financial reporting, which is where we come in. From our years of experience, we know that your business is more likely to succeed if you concentrate on your core activities and outsource other aspects, including your book-keeping. That’s because, book-keeping is not as easy as you might believe, so it is far more cost-effective to outsource, rather than keeping it in-house. With our expertise in small and medium businesses, we are here to help with all your book-keeping and data management needs. Our years of experience, efficient services and advanced software can help you run a successful business. We offer you forensic book-keeping, which you may need for auditing, due diligence when purchasing a business, or analysing your business’ performance. 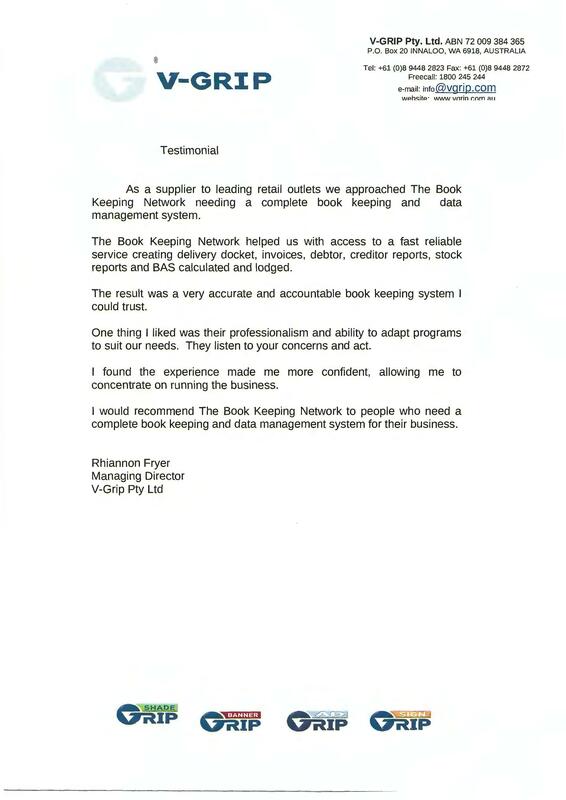 What’s more, our industrial grade software has been designed and produced at The Book-Keeping Network, by book-keepers for book-keepers, using Rocket Software, which is used by banks and large corporations too. As well, we were the third business in Australia to move to electronic banking when it was introduced in 1993. If you want to be in the good books, we are here to help. Are you ready to be in the good books? 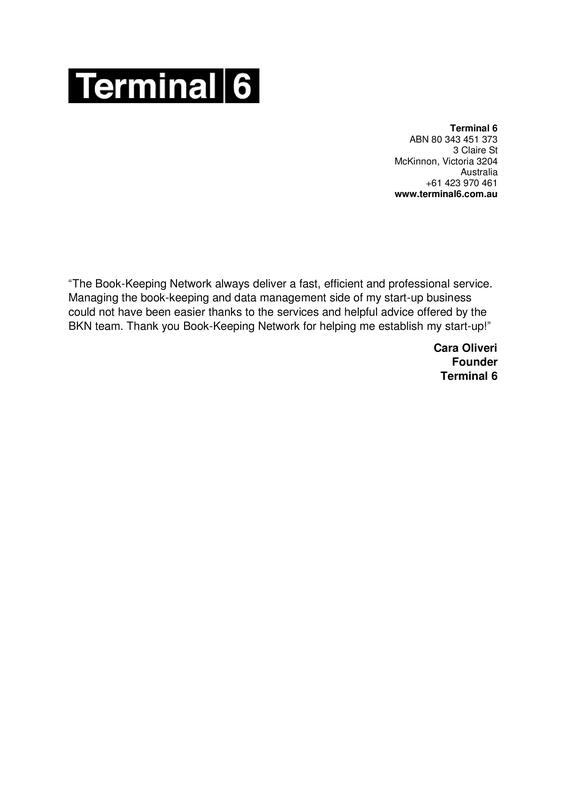 These are some Testimonials from our clients over the years.